For more than 200 years, and especially since the rediscovery of ancient Egypt by Europe in the 19th century, the exotic Egyptian style in architecture has been a sign of our fascination with a civilisation that has had a long-lasting and deep-seated influence on British culture. From its fashionable success in the Regency period to its varied uses in the 20th century, Egyptian-style architecture has much to say about what ancient Egypt represents to us. 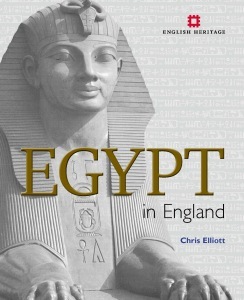 Egypt in England is the first detailed guide to the use of the Egyptian style in architecture and interiors in England, and to those that survive, most of which can be seen or visited by the public. Fully illustrated, it combines a series of topic essays giving the architectural and Egyptological background to the use of the style with a guide allowing sites to be located, and explaining what can still be seen. A variety of buildings and monuments – from cinema, supermarket, synagogue and factory, to folly, mill, Masonic temple and mausoleum – are highlighted in the book. For those who don't know their architrave from their entablature, or their Anubis from their Uraeus, there are also glossaries of architectural terms and ancient Egyptian deities. This engaging book is an accessible and practical guide for a general audience, but has enough depth to be useful to scholars in a range of subject areas. Chris Elliott is a member of the Egypt Exploration Society and a writer on Egypt and architectural history. In short, this ia an interesting and reliable volume which should prove a useful reference book for architectural or landscape historians but which also offers much of interest to other readers. ... it is a very good read and the colour photography is outstanding.